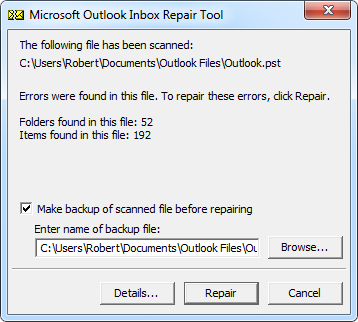 Microsoft Offers an inbuilt utility called as Inbox repair tool which is a privileged by Microsoft for its users to solve Outlook issues. First and foremost, the user can use this tool that comes by default along with MS Outlook. This app is installed automatically when you install MS Office/MS Outlook. Scanpst.exe utility is a one stop solution for Outlook related issues. 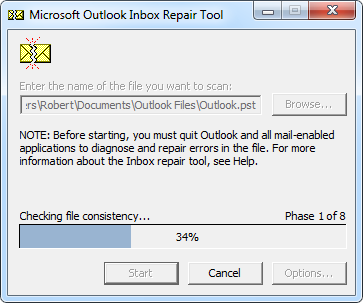 If you are Outlook users, then you might be acquainted with PST and scanpst.exe utility. Microsoft Outlook is a stand-alone application that holds all email attachments and other Outlook items like: contacts, notes, folders, tasks and many more in a single one .pst file. 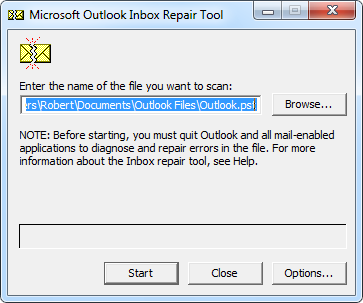 So, if the Outlook .pst files gets corrupted or damaged then in order to overcome such issue you might have used Inbox repair tool which comes along MS office in your machine. Inbox repair tool is perfectly designed to diagnose and repair errors in PST file, hence it is possible to access it again without facing complications. Scanpst.exe utility corrects and validates errors in your internal data structure of Outlook.pst files such as: Emails, attachments, notes, calendar items and so on that are built upon them. If corruption occurs in header part of your PST file then scanpst.exe is capable to recover it, but if it corruption occurs in the body section then recovering it through scanpst.exe is not possible as it is unable to handle high level corruption. Note: At such instant when Scanpst.exe fails to scan corrupted data, there will be no other choice than using an third party utility like Outlook PST Recovery. Inbox repair tool easily found PST files location by “Search Program and file option”. It enables you to repair oversized PST file sized issue and many more. Step3: After completion of scanning process, it shows preview of scanning reports. To know more about "Types of Corruption" Click on the Details button. Step4: It provides option to create backup of data, enter the location where you want to save recovered data. Through "Folder List" option, user can get recovered PST folders and found, lost folder. All data store in fond and lost folder, recovered folder does not carry any data. To move their content into a new PST you have to just drag and drop the content into it.